Donald "LaVoy" Quinn was born April 23, 1935 to Russell M. and Ernestine Elizabeth Quinn. He was the fifth of six children. LaVoy attended schools in Rupert, Idaho where he grew up and graduated from Rupert High School. LaVoy enlisted in the United States Army after graduation and served until his honorable discharge in 1957. He returned home to work as a butcher with his father at Quinn's Meat Locker in Paul, Idaho. LaVoy took care of his father after his mother's passing in 1960. He loved caring for his father until his passing in 1982. LaVoy loved his grey poodle "Wheeler" and later "Blue" dearly. LaVoy met and married the love of his life Pauline R. Barrus in 1984. They became inseparable. With this marriage, LaVoy became an instant dad and grandpa to Pauline's six children, Debbie (Fred) Knopp, VaLerie Vodros, DeeAnn (Don) Garner, Eugene (Ronda) Barrus, Marlene (Todd) Winmill, and William "Bill" (Kristin) Barrus. This was the roll that LaVoy cherished and accepted lovingly. He was always there for each and every one, helping out in any way possible. After LaVoy sold his business in Paul, Idaho he worked at JR Simplot in Quality Control. There he met many friends. LaVoy never knew a stranger, always a friend to everyone he met. After he left Simplot LaVoy worked for a short time at a cell center selling various products. In September 2001, LaVoy was taken to the VA in Salt Lake City, Utah where he underwent quadruple bypass surgery. Later he was diagnosed with COPD. He faced this challenge with great strength and courage as his health continued to fail. He never lost his love for his dear sweet wife and always wrote her kind loving notes expressing his love and appreciation to her for daily loving and caring for him. LaVoy loved spending time with family and friends. He enjoyed summer BBQ's. LaVoy was a beloved husband, father, uncle and grandfather. LaVoy passed away July 1, 2018 at the VA Medical Center in Boise, Idaho surrounded by his wife of 33 years and family. He is survived by his loving wife Pauline Quinn his brother Robert L. Quinn, several step children, numerous grandchildren and great grandchildren, nieces, and nephews. Memorial services will be held 12:00 p.m. Saturday, July 14, 2018 at Hansen Mortuary in Rupert, Idaho officiated by Pastor Don Garner. Services will conclude with burial in the Rupert Cemetery with Military Honors by the Mini-Cassia Veterans. 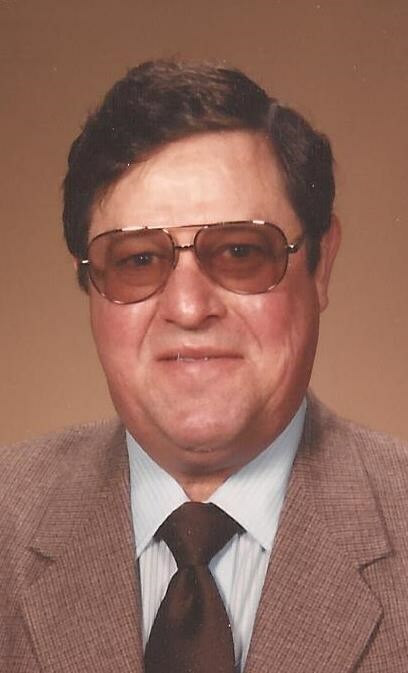 Services are under the direction of Joel Heward Hansen Mortuary.